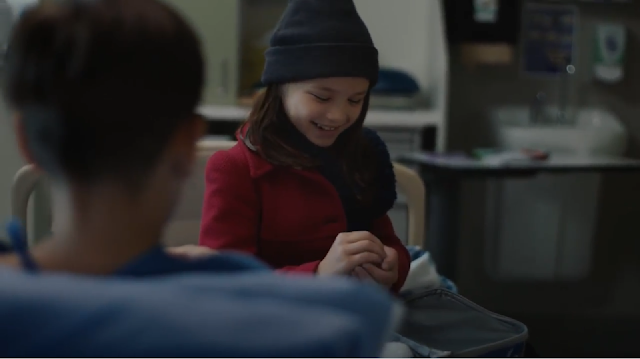 With the help of creative agency Will, BC Children’s Hospital is building on the success of last year’s Snowball Fight for Kids campaign with a brand new spot that will give you all the feels this holiday. It depicts a little girl and her journey to bring her brother a piece of normalcy and joy as he spends the holidays undergoing treatment in hospital. “We wanted to go beyond the simple mechanics of a digital snowball fight this year, and tell a deeper more emotive story of how a simple snowball has the power to offer hope, show support, and become a symbol of the magic shared when we all help kids get back to being kids,” said Lisa Lebedovich, Creative Director at Will. The spot will be airing on TV and is a part of a larger integrated campaign running until January 6th, featuring digital and social ads, print, direct mail and OOH. All of the media drives to the website where people can donate to participate in the Big BC Snowball Fight for Kids. “Our goal is to have 10,000 snowballs thrown province-wide, to help us continue to advance the research and specialized care that BC Children’s Hospital is known for. We want kids and their families to feel supported and cared for at a time of year when being away from home can be the hardest. Our collective action can speak volumes in ensuring a bright future for all of our kids,” said Surina Sproul, Director of Marketing and Communications at BC Children’s Hospital Foundation. People are encouraged to join the fight at SnowballFightforKids.ca until January 6th. Will is a creative agency that focuses on the development and amplification of brands through a strong, strategic sense of purpose and emotional connection. Launched in Oct 2014, Will employs 23 full-time staff in their Vancouver office, and works across most major industries. Clients include: Stanley Park Brewing, Bulletproof, BCLC, Honda Celebration of Light, COBS Bread, Skookum Festival, Royal Roads University, Alberta College of Art and Design, Yukon University, HSBC Canada Sevens, Canada Games Council, Freestyle Canada, Ivanhoe Cambridge, Teck, Little Northern Bakehouse, Earth’s Own, Happy Planet and Fresh Tracks Canada. BC Children’s Hospital is the only hospital in the province devoted exclusively to the care of children. As one of the few pediatric medical centres in North America with a world-class acute care centre, research institute, mental health facility and soon, rehabilitation centre all on one campus, they provide expert care for the sickest and most seriously injured kids. At BC Children’s Hospital Foundation, we have a vision that every child is healthy and able to fulfil their hopes and dreams. The generosity of donors fuels our ability to conquer childhood diseases, prevent illness and injury, and prioritize the unique needs of kids in every aspect of their care. Please follow us at @bcchf or visit us at bcchf.ca for more information.